Starting with a Thank you , to all who cared to respond my post through comments and Emails , and all those who tried to help me decide a picture for Click event, I am glad to send the one that got most of the votes..The first picture of Gulabjamun from my previous post . This is a Recipe which remained in Drafts for the longest period, the reason being that store brought Gulabjamuns are so convenient to find here and also , these do not cost a bomb. Moreover I find making sweets too unnecessary , since we hardly eat sweet stuff and those in family who love sweets are “barred” from even looking at these, leave aside eating , obviously due to health reasons. But then, I do occasionally give in to the temptation of some appreciation , from the followers of my blog, when I share a particular recipe they keep asking for. Besides, the CLICK event is a huge driving force in itself, so when Jai and Bee asked for Heirloom…here I am with an old cherished Recipe of most cherished Sweet(Mithai) of Indians, with some cherished memories of my childhood(Oh No..Not Again !). Amongst many memories of past , and most of them related to food, one scenario that still lingers around my mind is of a frail, elderly man, always dressed in white, come rain or sunshine, with his aluminum ,wide mouthed container, lined up with stacks of thin, elongated(yes elongated..almost like a finger) hot, perfectly browned, perfectly sweetened , melt in mouth gulabjamuns. Sundays were most cherished days of all, since it used to be a day when whole family sat in front of Television to watch popular serials like Ramayana and Mahabharta, waiting for that elderly man to give a shout ”Radhey Ja Garam Jhamuh” roughly translated as Hot Gulabjamuns of Radhey..yes the man was called Radhey ! All the kids around, made sure that they get their share of gulabjamuns and saved their petty pocket money to buy the hot, fresh, straight from the stove(a mobile stove, which burnt on low flame,that kept jamuns hot to the core) each piece costing 25 paise (1/4 of an Indian Rupee…don’t ask me to convert into pence /penny/ paiso..go figure it out). So a Rupee used to fetch us four of those yummy sugar bombs , lined on a paper with a dash of sugar syrup. Enjoying those with family watching our favorite Tv. serials(At those times there were only handful of them being aired, that too mostly on Sundays…Ahh what a bliss it was !) was a feeling equivalent to being in Heaven..I swear ! For years we enjoyed his home made gulabjamuns in winter and monsoon, while some really creamy, garnished with pistachios, Kulfi was a Hot (Cool) favorite in summers. Yes, the Gulabjamuns used to give way for Kulfi in summers and till this date we are unable to figure out how did he managed to sale such a good quality stuff in pennies. It was during that wonderful period of my life that visiting maternal side Grandparents was a regular affair in vacations. The memories of spending time with cousins and aunts , uncles and Naana Naani( grandparents) still moisten my eyes , everytime I think about it. My Maasi ( Mother’s Sister) always made sure that we kids thoroughly enjoyed our stay at grandparents home, by taking us out to playgrounds, gardens, Beaches, temples, Movies etc. religiously everyday of our stay there, year after year. My Grandparents residing in Chembur, another Sindhi Populated area in Mumbai, the Jhama Store was at stone throw distance from their home. This particular Sweets shop is famous all around the place for its mind blowing Gulabjamuns, though bit costlier but good to taste at. 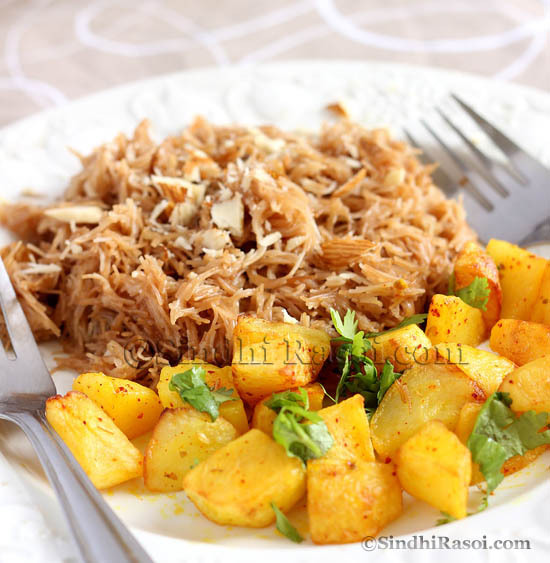 It gets its name from proprietor Jhamamal Lulla, a Sindhi refugee from Karachi who set it up in 1950. “Our family lived in the refugee camps nearby,” says 30 year-old Ravi, a third generation Lulla. His grandfather’s culinary skills and reputation for using ingredients of the highest quality, brought him regulars. Close to six decades later, Jhama’s has seven branches across the city but the Chembur branch is still patronised by Sindhi families. Staffer for fifteen years, Naresh Chawla says a lot of movie stars are regulars. Amitabh Bachchan once named Jhama’s Gulab Jamuns in a list of his 7 favourite things. Then there’s Salman Khan, who picks up sweets while driving down to his Panvel farmhouse. So here they are , soaked in lots of sweet musings , Home made gulabjamuns…Enjoy ! There are number of recipes of Gulabjamun , easily searchable on internet, and as far as the recipe I follow, it is an easy breezy one, of course, only if you have some Mawa handy. Mix about 500 gm of white sugar in one and half cup water and keep it for boiling. Strain the syrup, add rosewater when syrup is slightly cooled . Always remember two things while using rose water, do not add it while syrup is bubbling hot or on fire, and be particular about the quantity mentioned in every recipe, since even few drops of excess rosewater could lend a bitter taste to the final product. Now take little oil for frying in preferably flat bottomed pan, and heat the oil. But gulabjamuns are to be fried on LOW FLAME or else the surface will be browned while the core will remain uncooked. Some prefer to place an unsalted pistachio in the center of every gulabjamun while making balls, that way the core of gulabjamun is not left uncooked . Fry one or 2 gulabjamuns at a time and always remember to STIR THE OIL with slotted spoon AND NOT TO TOUCH GULABJAMUNS, which means keep swirling the oil without tossing or turning gulabjamun . These are regular Gulabjamuns, in case you like Black Gulabjamuns then here is what you need to know: Gulab Jamun gets its brownish red color because of the sugar content in the milk powder or khoya. In other types of gulab jamun, sugar is added in the dough, and after frying, the sugar caramelization gives it its dark, almost black colour, which is then called kala jamun, “black jamun”. Great recipe, not even hard to make. i am very thankful to you.i made meetha lolo.it came out soft and yummy for the occassion of nagpanchmi.i am very happy and surprised to see all the sindhi dishes. hey, thanks for the recipe. I don’t eat Gulab Jamuns but my husband loves them. I am sure I would try it from scratch one day Just For Him….!! 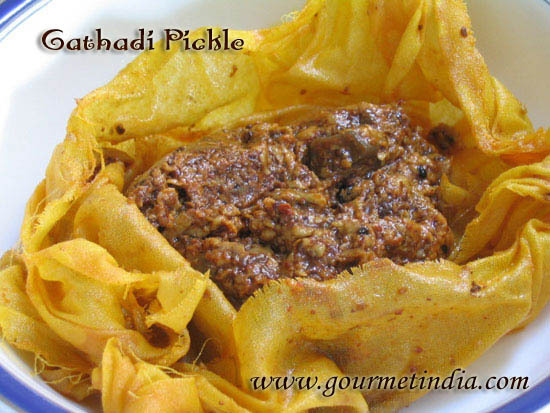 Your site is great,loved the ideas and sindhi recipes .I am a sindhi too and exicited to see this site.When will u back to blog again.waiting eagerly. I stumbled here accidentally and after reading this post thought I should leave a comment. I am from Mumbai and my parents and my maternal grandparents, uncles, aunts, cousins live in Mumbai too. My Maasi used to live in Chembur for many years. My mum was a teacher for a long while and was teaching in the area back then. I came down to Chembur and what everybody called ‘Sindhi society’ often with my parents. My parents found the paneer from that area the best ever. We were addicted to Jhama out there and my parents still maintain it as a standard for judging any Indian dessert they happen to come across. I loved Jhama’s laddoos which still taste of pure ghee, gulab jamuns and burfi. Another favourite was malai patties from Kashi and rasgullas from Chandu. Almost all recipes for GJ mention use of 5 tbs maida for 250gm khoya.U have mentioned to use CF.I would like to know what diff CF will make to GJ?? Thanks for nice recipe. I myself prepare Gulab Jamun in a slightly diff way. I add Maida only along with Chhenna. U have mentioned to add few drops of Rose water. In fact 1 tbs of Rose water OR few drops of Rose essence is needed to bring out flavor. Wow Jhama! yummy …anyways I will be there at the shop in a few days… Alka my family too is a fan of Jhama. Their savories are equally to die for. The Gulab Jamun is a True WINNER!! Girl am I glad or not:-D Tight squeezy hugs.. i am so happy. Thats a great dish..always loved gulab jamun…great clicks as always alka..
Its so true, I myself do not have sweet tooth, but when it comes to Jhama, its Gulab Jamun, Singhar ji mithai (sevbarfi as some non sindhi name it), chabu halwo (the rubbery halwa) are irresistable, we have tries gulab jamuns of many other famous shops, Tharu and also other ones but none are like Jhamas. You bough me back those memories. Thanks for it. I just had a query as I don’t lve it India, what can I use instead of unsweetened mava. 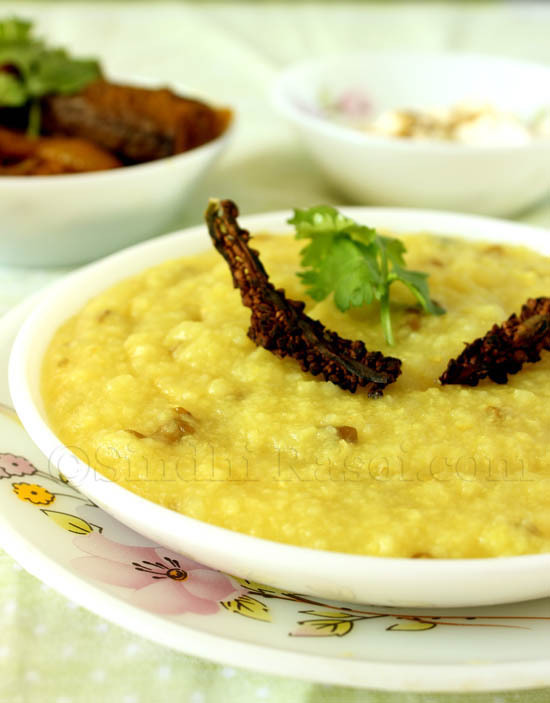 Nice recipe,but in shanghai we cannot get mava so can u suggest some better options for it ……. Nice seeing a traditional sweet recipe on a blog. Chembur-Jhama-Jhamus always great. By the way whenever I am in India I get all sweets from there, my in laws are in Chembur. Lovely recipe. Amazing click Alka. I usually make Gulab Jamuns from the mix. My grandmother used to make it from scratch but didn’t bother to know how she made it. My husband’s favorite sweet is this one and I’m going to try this authentic method the next time. Hi Alka ! its great to have u back. Gulab jamuns are great !! looks so appetising. Alka pls cn you give the recipe for laai, I like it very much I had tried making it but it never comes out white, it becomes brown or burns slightly. 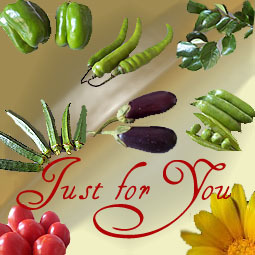 pls its Diwali time n. thanks a lot !!! gulab jamun is one of myf avourite and here iam drooling ..
Good to see you back. I’ve been in a similar situation myself with moving and what not. Nice post, Gulab Jamuns are special to me as well and always remind me of my Nani. Keep posting Alka! HOw have you been? Have you moved yet? The click is greatas usual. I love Gulab jamuns, I can have sweets anytime. But I do remember my Sundays too only thing here the whole family would have idli, dosa and wada bought from outside, every sunday while watching Mahabarat and then have curry chawara for lunch. they would be lazy sundays but the best part of the childhood since the whole family of 15 would be there in that one room. It looks so perfect, i am suddenly craving for one now! Great Click for CLICK! 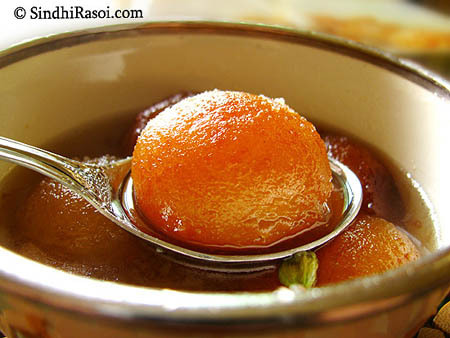 Gulabjamuns are mouthwatering and look perfect. So yummy! I used to make the finger resembling gulab jamuns. Have book marked this traditional recipe. Will try out this diwali. Good looking jamuns. 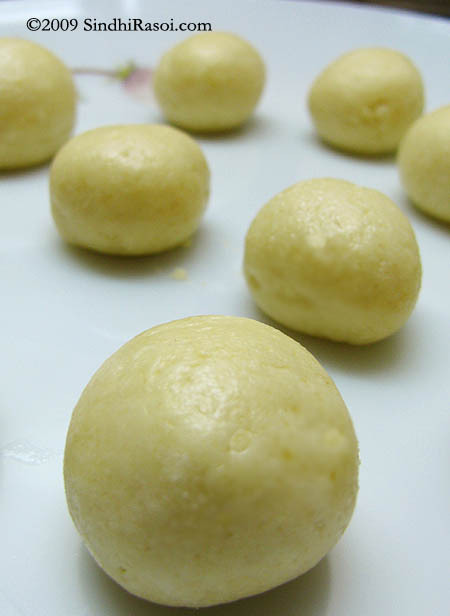 I love the khoya made ones and I have a recipe on my blog too. The only difference is I do not add cardamom and corn flour. Great entry for CLICK as well.